What are my two favourite things on the planet? Number one is definitely travelling. Second place is a tough call between food, my dog and Harry Potter. For the purposes of this post, let’s go with the latter. So, you can imagine my excitement when visiting Edinburgh and getting to see all of the Harry Potter locations *insert squealing noises here*. There are plenty of tours which enable you to pay someone to take you around the famous Harry Potter destinations of Edinburgh, but we saw the majority of them (or they were pointed out for us to explore later) on our free walking tour with Sandemans New Europe (big shout out to Max the epic tour guide!). 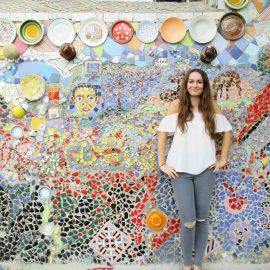 But if tours aren’t your cup of tea, here’s a nice little list for you to get your teeth stuck into and go find yourself! Even if you aren’t a Harry Potter fan, please promise me that you will visit The Elephant House to experience their incredible freshly squeezed orange juice. It was unreal. 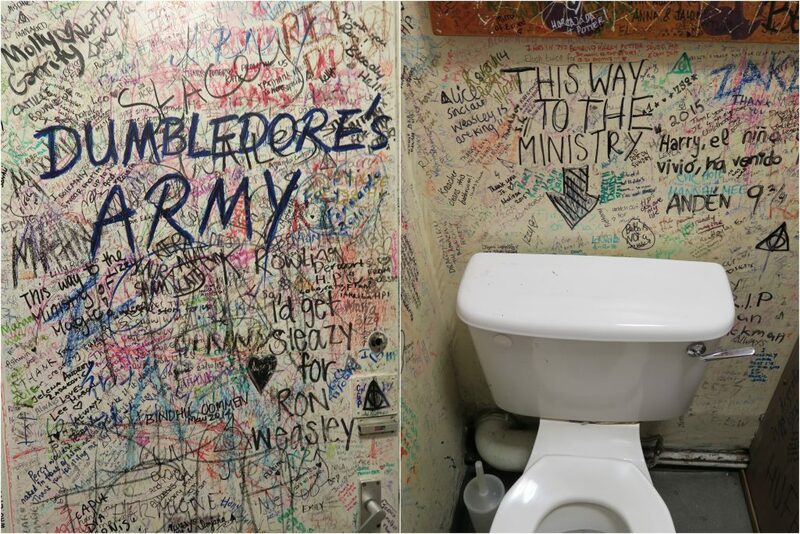 The Elephant House is the cafe which proudly brands itself as “the birthplace of Harry Potter”. This is the cafe that provided a nice warm cosy spot for J. K. Rowling to begin writing the Harry Potter books in. Fast forward to the end of the Harry Potter series and Rowling suddenly had a few more pennies in the bank and decided to use the Balmoral Hotel (room 552 to be precise) as her writing grounds. On completing the novels, she decided to scribble ‘JK Rowling finished writing Harry Potter and the Deathly Hallows in this room (552) on 11th Jan 2007′ on a marble bust in the room. If you’re willing to fork out a hell of a lot of money ((approximately £1,000) per night, you can stay in the Grand Suite that has since been named “The J K Rowling Suite” and it can be booked here. 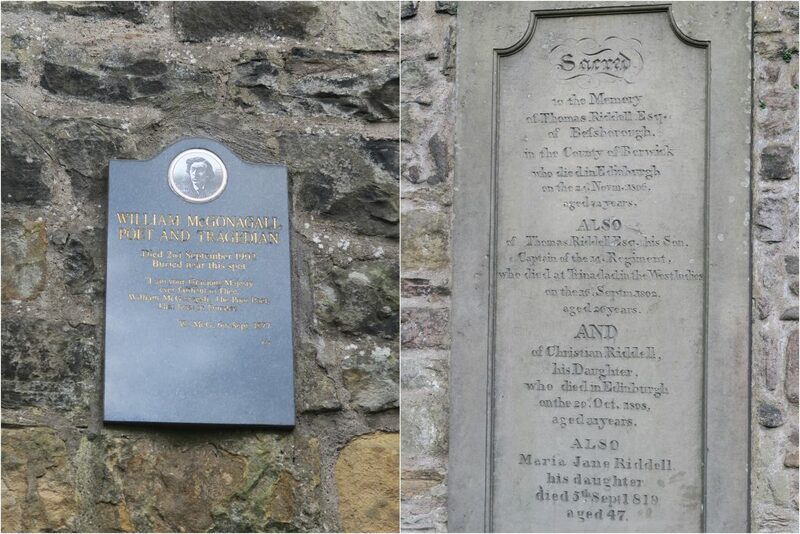 It’s not often that a travel blog recommends you visit a graveyard, but here we go. 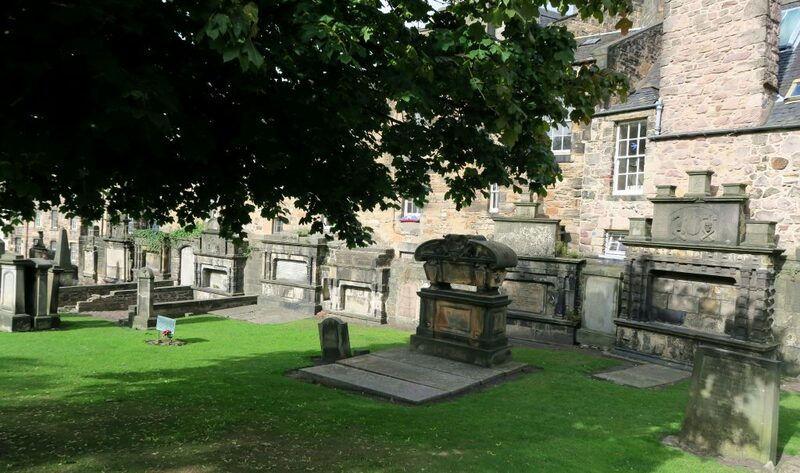 Greyfriars Kirkyard is a short walk from The Elephant House and is said to be where J K Rowling went for a walk on her breaks from writing. Adjacent to Greyfriars Kirkyard is The George Heriot School which is known for being the inspiration for Hogwarts school (and it’s not hard to see why). Unfortunately the school is very rarely open to the public and it’s hard to see the entire building in all it’s glory (unless you want to try and climb over the fence separating it from the graveyard). But apparently you can get a good view of the school from the observation deck at Camera Obsura – we didn’t visit, so I can’t comment! 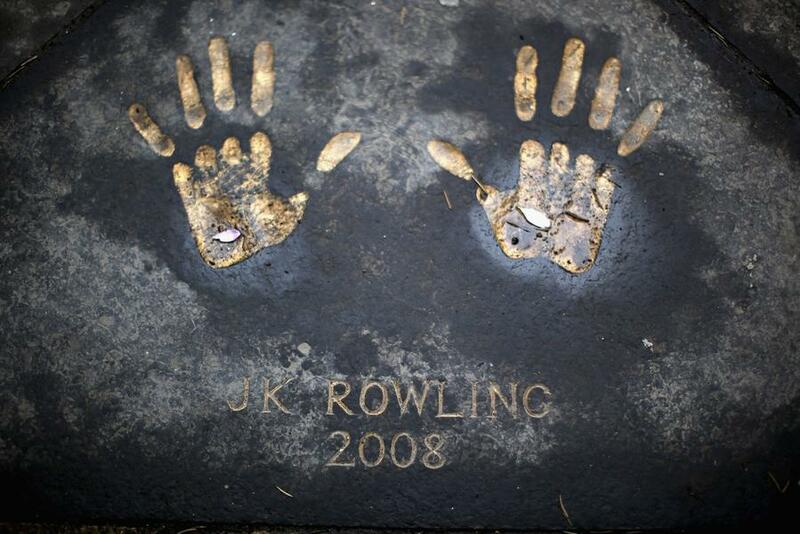 One thing that I completely missed whilst in Edinburgh and have only read about since returning is the “Hollywood Walk of Fame”-esque imprint of J K Rowling’s hand-prints in the Edinburgh City Chambers floor. Go size up your hands – who knows, you could be the next biggest writer! Let’s face it, the whole of Edinburgh feels magical. The buildings are old and whimsical. 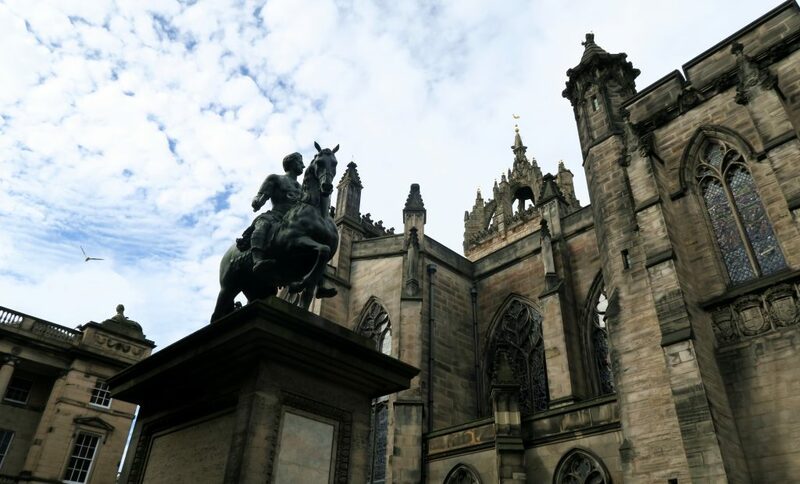 The city is also littered with ghost/horror stories (we took another tour with Sandemans New Europe called the “The Dark Side Tour” which explained all of the gruesome ancient stories that the city has to offer! There are so many other streets and buildings that apparently inspired J K Rowling, but who knows how truthful these accounts are! One story that I can believe to be true is Victoria Street inspiring Diagon Alley – take a look and you’ll see why! Another favourite is the street “Potterrow” which alledgedly inspired the name for Harry! 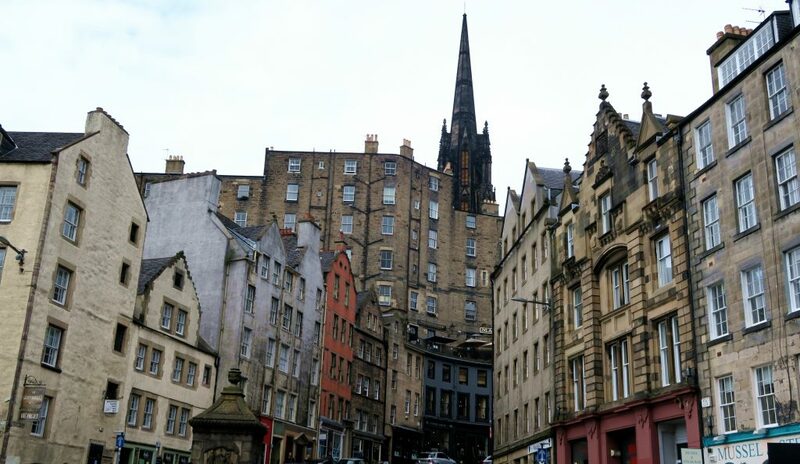 Okay, this one isn’t in Edinburgh, but if you are taking an extended trip to Scotland and you’re a huge Harry Potter fan, you will want to know about it (it’s still on my bucket list)! Glenfinnan Viaduct is the famous bridge that the Hogwarts Express takes its journey across. Trains still run across the bridge every day, so grab a ticket and pretend you’re off to the land of Hogwarts! I can definitely see the inspiration for Diagon Alley in Victoria Street. Edinburgh looks incredible! And you have to visit the highlands at some point and stop by Glenfinnan – the views around it are incredible and there’s a town right at the end of the road with white sand beaches that is probably one of my favourite places in Scotland!